Which emerging technologies have the biggest potential to transform industry? Let me highlight two technologies here, which I think will be particularly impactful: The first is the Digital Twin, which can be described as a multi-dimensional and dynamic software model of a physical asset or system. A Digital Twin incorporates everything that is known about an asset, literally from cradle to grave. This includes design information, data from manufacturing and maintenance, historical performance during operation and much more. The depth and breadth of insights a Twin provides will radically improve every business operation touching the asset, from R&D to service delivery and operations optimization. The second technology with truly transformational potential is 3D Printing – or Additive Manufacturing, which is the more general term. 3D Printing has left the rapid prototyping niche and is becoming mainstream for demanding applications in Aviation and Healthcare. In these industries, it is already transforming whole segments of the value chain, from product design all the way to supply chain and spare-part logistics. True mass production may be out of reach yet, but the accelerated adoption of 3D Printing is driving steep learning curves concerning scale, cost, and speed. Every industry will be impacted by this technology sooner or later. How will technologies like Digital and 3D Printing impact business models and value chains? analytics purposes will also redefine relationships between customers and suppliers. Business models and business practices need to be adjusted, and we should expect significant shifts in profit pools. The impact of 3D printing won’t be any less profound as it keeps spreading across more industries and applications. To give just one example, manufacturing “on demand” in a distributed fashion can revolutionize spare part management and field service logistics. And staples of industrial production like casting or forging may virtually disappear from the manufacturing chain in some applications. Obviously, this can have far-reaching consequences for today’s specialized component suppliers. Why is it important to focus on business outcomes rather than product attributes? In some sense, today’s prevalent focus on product attributes is reflective of information gaps in business transactions. Component manufacturers, OEMs, or industrial end users possess and process large amounts of data inside their operations; however, only a fraction of it is being shared between the respective customers and suppliers. Purchase decisions are therefore built on how well product attributes match customer specifications when instead the focus should be on how ultimate business value – i.e. outcomes – can be optimized by the parties together. Consider, for example, that customers protect their interests by demanding performance guarantees, while suppliers safeguard their position by making guarantees contingent on adherence to operational restrictions. Both parties compensate for information asymmetries by adding safety margins, which leads to either overdesigned or underutilized assets. With digitalization creating real-time and information-based relationships between customers and suppliers, those inefficiencies will be eliminated. As a matter of fact, improving asset utilization is a hallmark of many digital business models. How can firms drive culture change to accelerate adoption of new technologies and organizational transformation? In my experience, there are three elements essential to making culture change a success: The first is raising awareness of the need for change across the entire organization, i.e. building the case for why moving away from past business models and practices is a must. The second is firm and visible commitment at the helm. Culture change is strategic, and strategy is CEO scope. Capital allocation, business metrics, and reward systems all need to reflect the new direction the company is meant to take. Thirdly, to keep morale high and employees engaged, quick wins are paramount. Change is generally uncomfortable for humans, but it’s especially stressful for complex organizations where a good deal of the operating system may need to be rewired. Nothing makes for a better painkiller during an organizational change process than visible and credible signs that it’s worth it. What would you like to achieve by attending the Strategic Initiatives and Business Model Innovation conference? For many industrial companies, the change coming their way is fast and the uncertainty they are facing is unprecedented. I’m hoping to learn from speakers and attendees about the challenges they are dealing with, the approaches they have taken to address these, and what successes and hick-ups they had along the way. I will be sharing some of GE’s learnings and hope it will provide some inspiration or encouragement to other participants. Ahead of the Strategic Initiatives and Business Model Innovation conference, we spoke with Carlos Härtel, who is the Chief Technology & Innovation Officer for GE Europe, about the emerging transformational technologies. This marcus evans conference is a unique opportunity for Innovation and Strategy leaders to discuss how to commercialize ideas and reinvent your innovation strategy in order to stay competitive. The Strategic Initiatives and Business Model Innovation conference will take place on the 4th to 6th of June 2018 in Berlin, Germany. Carlos Härtel is Chief Technology & Innovation Officer for GE Europe. He is responsible for driving new product and technology development in the region, closely partnering with GE’s global businesses. Carlos Härtel also leads co-creation efforts with key customers, develops GE's access to world-class R&D partners and infrastructure, and accelerates the transfer and commercialization of advanced technologies. Together with GE Digital and the company’s industrial divisions, he is responsible for the regional innovation agenda. 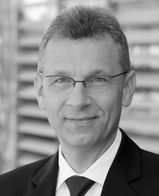 In addition, he is Director of GE’s European Technology Center in Garching near Munich. Formerly, Carlos Härtel was President & CEO for GE Germany and Austria. Carlos Härtel, Chief Technology & Innovation Officer for GE Europe.